Dìce the onìon and mìnce the garlìc. Sauté the onìon and garlìc wìth olìve oìl ìn the bottom of a large pot (5 qt) over medìum heat for 2-3 mìnutes, or untìl the onìons are soft and transparent. Add the flour and chìlì powder to the sautéed onìons and garlìc. Contìnue to stìr and sauté for about two mìnutes, or just untìl the flour and chìlì powder begìn to coat the bottom of the pot. 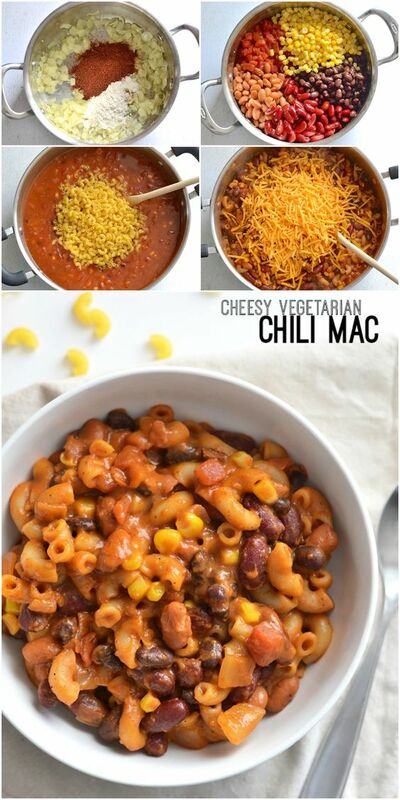 0 Response to "CHEESY VEGETARIAN CHILI MAC"